Often times the most important images for mom and dad are the family ones at their newborn session. I always urge clients to go for the family images even if it feels daunting or they feel less than beautiful at the time. They will always be some of the most treasured! Divya was surrounded by a family of love and there was no shortness of oohing and aahing over her at her newborn session. 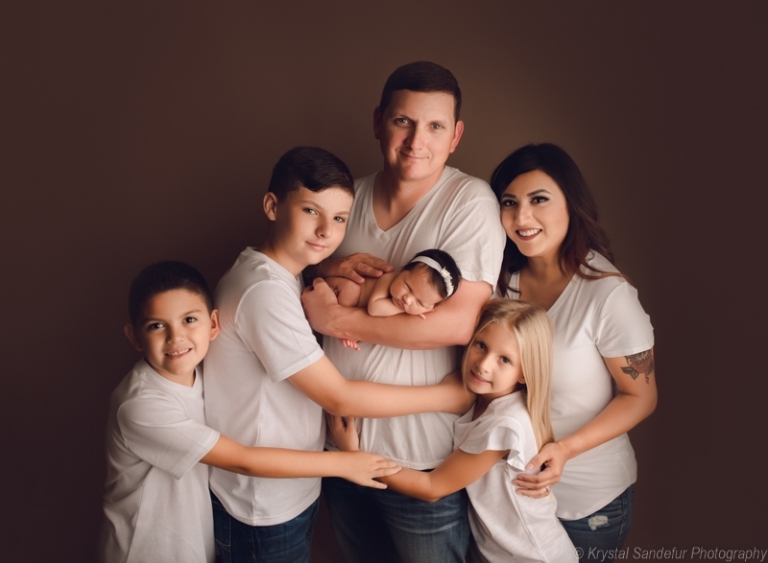 As a Fort Worth newborn photographer, I am lucky enough to capture so many families and babies from all over the Dallas Fort Worth metroplex, and always fall in love with the family portion. I like to do family and sibling shots first to get them out of the way, and then dad or grandma can take the kiddos home, back to school, or even go grab a bite to eat. After the family portion, I devote my time to focusing on this new little life and all the details of his/her first days earth side. 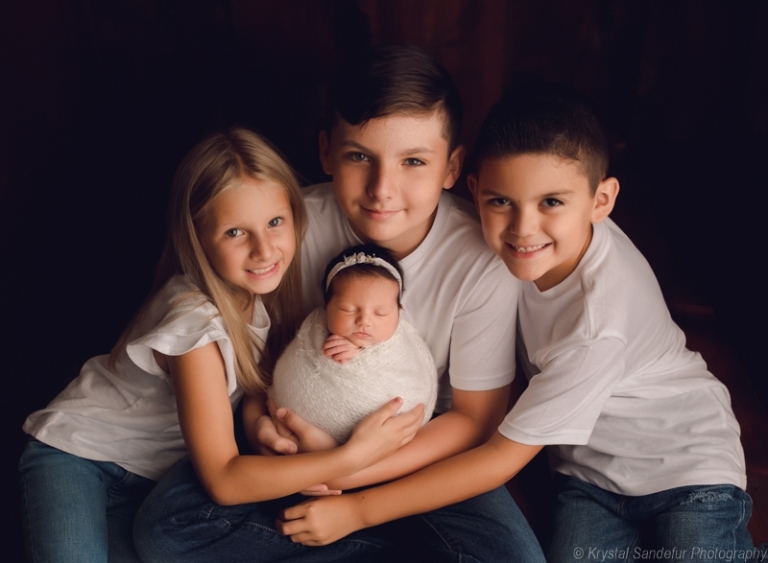 Krystal Sandefur is a DFW Photographer who specializes in newborn through first year.